Each year we see ebbs and flows—sometimes destinations that are more popular in some years than others. It can be hard to predict, but we pay close attention to both the micro trends we see from guest evaluations, reservations, and personal feedback, as well as the goings-on in the world-at-large. 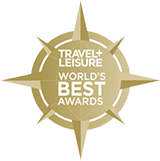 And from those factors, here are our top picks for the best destinations for your 2017 adventures. Zimbabwe is a reemerging safari destination for so many reasons. 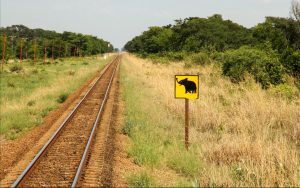 Right now, there are still relatively few tourists, meaning visitors can get some rather exclusive experiences—tracking wildlife on foot, riding the Elephant Express safari train, and going on a “pump run” to bring water to elephants in the bush. Zimbabwe guides are considered to be the best-trained on the continent, usually taking 6-7 years to complete the training required for licensing. According to our guide, Mark Butcher, the wildlife viewing in Hwange National Park has never been better with a healthy population of endangered African wild dogs, a high concentration of elephants, and a historically large number of lions. And because the four main areas to visit are easily connected by road, there’s no need to take expensive bush flights, making Zimbabwe one of the most affordable places for safaris. 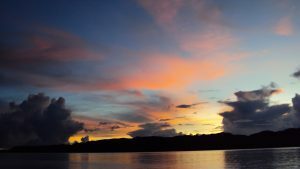 Palau was listed in Lonely Planet’s “Best in Travel 2016,” and we have already seen an uptick in interest for this remote South Pacific destination. As word gets out about this incredible off-the-beaten-path adventure, we’re sure people will be intrigued by the stingless jellyfish, rusting World War II relics, vibrant coral reefs, and hidden jungle coves. You may feel that you are an explorer, the first person to lay eyes on the uninhabited limestone and volcanic islands, especially when you’re watching the sunset from your beachfront full-service camp. For those seeking to really get away from it all and to leave the hustle and bustle of modern life, Palau is the place to go. 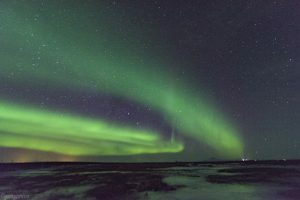 After our highly successful inaugural Northern Lights Adventure in March, we not only added a second 2016 departure in October, but we scheduled three dates for 2017. Iceland has become hugely popular in the last year and for good reason. However, most people only see Iceland in the summertime. Winter on the island is a completely different, and undoubtedly, magical experience—from searching for the ephemeral Northern Lights each night, to the crunch of virgin snow underfoot, to miles of sparkling white landscapes. After people have fallen in love with Iceland in the warmer months, they’ll want to see its “dark side.” And for those that haven’t been yet, this is really what an Icelandic adventure is all about. See our Iceland video shot by our Iceland destination manager, Deborah. Bhutan is on the list for two reasons. First, it’s one of Matt’s (Founder and President of Boundless Journeys) favorite places in the world. He’s been there three times, and loves offering the opportunity for people to discover it with our amazing local guides. Secondly, because you can’t just fly over there and tour around by yourself. Although the country has welcomed tourism for a few decades now, travelers must go with a government-approved tour operator, through which visas and hotel rooms are secured. 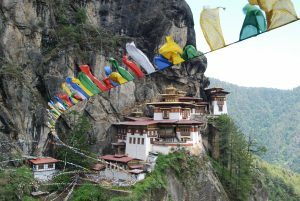 Moreover, the flights between Paro and Bangkok, as well as internal Bhutan flights, are severely limited and sell out quickly, making it all the more important to reserve your adventure as early as possible. If you didn’t know about this beautiful and unique corner of the Himalayas until now, you’re in the majority. But word is getting out, which is why this is a Must-Go Destination for 2017. Last year, the New York Times Magazine published an article about the Tour du Mont Blanc, one of the most famous long distance hikes in the world. We had such a deluge of interest, with our four dates selling out within a couple weeks, that we added an unprecedented fifth departure! Thanks to the amazing writer who really captured the essence of the tour, many more people know about this journey, not just serious hikers. 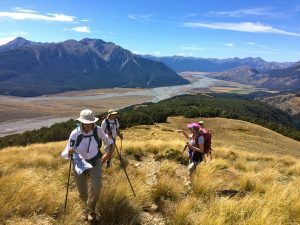 It’s a very accessible hike for most people (we do an abbreviated version), and as we’ve been taking reservations for 2017 since May, there’s no sign of interest waning. What’s not to love about the French, Swiss, and Italian Alps? Lots of cheese, three wonderful cultures, mountain views for days, glaciated peaks, verdant valleys, and the companionship of fellow hikers. We put New Zealand’s South Island on our list because of the tremendous diversity of adventure and landscapes it offers—swimming with dolphins, walking on pristine beaches, hiking through soaring mountains, kayaking on glacier lakes, exploring dense rainforest, relaxing at a winetasting, discovering Maori culture, meandering through charming towns, and even bungee-jumping after our tour ends! There’s something for everyone. The dramatic, untouched, and magnificent landscapes of the South Island made it the perfect place to film the Lord of the Rings movies—it dazzled Hollywood, and it will dazzle you, too! For a preview of the journey, watch our New Zealand video shot by our New Zealand destination manager, Ashley. We are almost positive that you’ve heard of the famous Inca Trail that leads up to the mystical, ancient city of Machu Picchu. 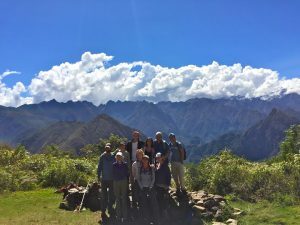 It’s the first thing that comes to people’s minds when they hear “hike to Machu Picchu.” But have you heard of the Salkantay Trail that leads to the very same place? It’s certainly not as well-known, but many argue it’s just as beautiful, if not more so. Why isn’t it as popular? Because it’s a much more intense, lodge-to-lodge hike at higher altitudes than the Inca Trail. Since the Peruvian government started limiting the number of permits for the Inca Trail, it has become harder (though not impossible) to obtain them on specific days. There is no such limit for the Salkantay, and it is an absolutely phenomenal option if you’re an avid hiker, are ok at higher altitudes, and wish to take the road less-traveled, literally.